No, the dog didn’t hack this page. As your home is infused with lovely aromas of roast turkey, stuffing and pumpkin pies, it’s truly okay to indulge your dog with a bit of table food. A small portion of roast turkey without skin is low in calories, fat, and cholesterol. The scent woos a dog like nothing else. 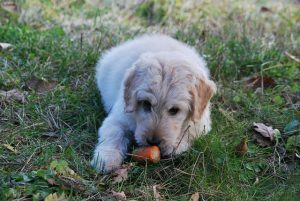 As long as it doesn’t make up more than 10% of your dog’s total diet, feeding your dog a small amount of table foods can be an occasional reward – and not just at Thanksgiving. Experiment a little. Some dogs adore green peppers, and some may not touch them. A healthy diet contributes to your furry baby’s long, happy life. If you have any questions about your pet’s diet, give us a call! We’ll make sure that your pet is only gobbling up things that make for a happy, long, thankful life! We know that most people are thinking about trimming turkeys and trees this time of year, but at Town N Country, we’re trimming nails – to benefit Allied Churches of Alamance County. We have nail trim certificates on sale for $10, a price trim from our usual nail trim cost. You can use them immediately, or save them for later. And yes, you can get more than one! Nail trim certificates must be purchased by November 30, and they expire March 1, 2019. All proceeds will be given to Allied Churches. Allied Churches is very busy this time of year feeding the hungry and homeless, and providing Christmas Cheer to needy families. We’re honored to be able to help them as they serve our neighbors and friends, right here in Alamance County. Diabetes is on the rise in our society in humans, and in pets. Statistics show that 9.4% of cats and 3.8% of dogs have diabetes*! 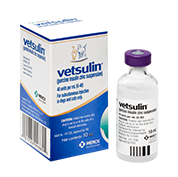 Pets with diabetes cannot produce or utilize insulin, which means that their bodies don’t convert food into energy properly. The extra sugar left in the blood leads to lethargy and other health problems. Does My Pet Have Diabetes? Diabetes PetCare Alliance has a quiz that helps you find out if your pet has signs of diabetes. Take the quiz, and call us for the next steps. What If My Pet Is Diagnosed? Diabetes cannot be cured, but with proper treatment and monitoring, your pet can live a long, happy life. 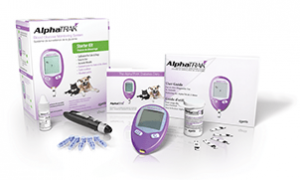 In honor of Pet Diabetes Month, our patients diagnosed with diabetes during November and December can receive a Free Diabetes Management Kit through our partnership with the Diabetes PetCare Alliance. 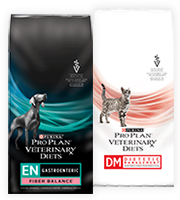 The kits includes the first 10 mL vial of Vetsulin® (porcine insulin zinc suspension), a Glucose Monitoring System, and a free one 6-pound bag of Purina® Pro Plan® Veterinary Diets DM Dietetic Management® Feline Formula or Purina® Pro Plan® Veterinary Diets EN Gastroenteric Fiber Balance® Dry Formula. And yes, that’s at no charge! I Have More Questions! There’s a lot to learn about diabetes. To help you, the PetCare Alliance has a series of FAQ’s for dogs and for cats. Of course, we’re here as well. Rebecca is actually a AAHA Certified Diabetes Educator and would be happy to answer your questions. 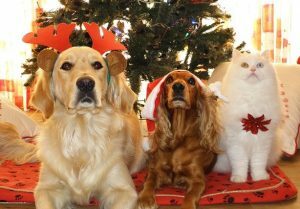 Remember, the free Diabetes Management Kit is available for new diabetic patients identified in November and December, so if you have any concerns at all, now is the time to get your pet assessed. 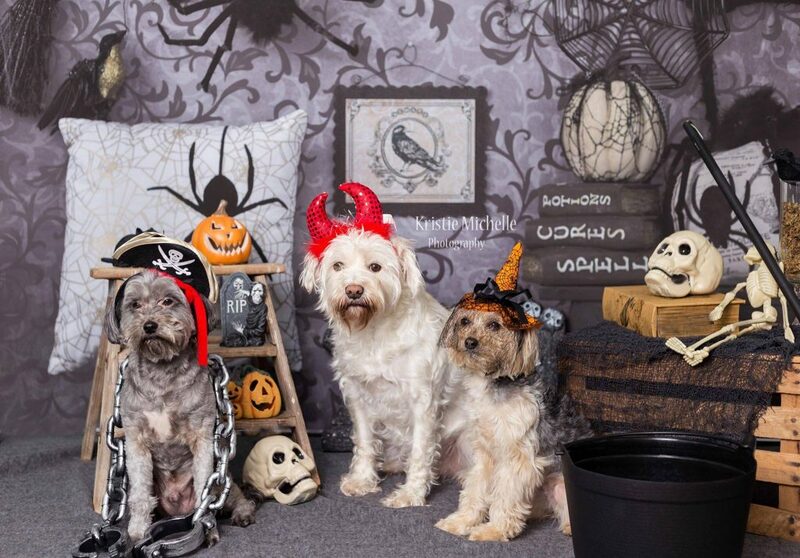 Congratulations to Buddy, Lady, and Athena on winning this year’s Halloween Costume Contest! They won a huge prize basket full of fantastic treats. Thanks to all of you who entered and voted!